Von Duprin 6211-DS Electric Strike with Dual Signal Switch 6211-DS electric strike: for use on n.. 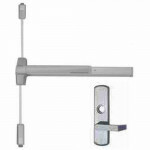 The Von Duprin 6211AL Electric Strike is for use on new installations with mortise locks without dea.. 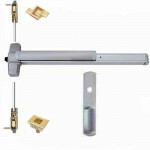 The 99L-F is a lever trim (Key locks & unlocks) rim fire exit device for all types of single doo.. 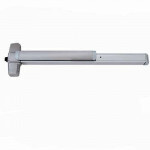 The 9927EO is an exit only surface vertical rod exit device for all types of single and double doors.. 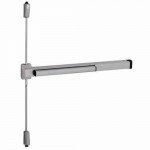 The Von Duprin 3547A-EO is an exit only concealed vertical rod exit device for all types of single a.. 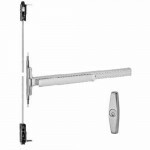 Von Duprin 996L-R&V Lever Trim (Key locks & unlocks) for use with 98/99 Series Rim and Verti.. Von Duprin EPT2 Electric Power Transfer with Two 18-gauge wires. Electric Power Transfer provides a .. 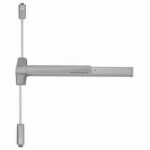 The 9947EO-F is an exit only concealed vertical rod fire exit device for use on pairs of doors up to.. 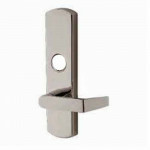 The Von Duprin 3547A-NL-OP is night latch (Key Retracts Latchbolt, Optional Pull Required) concealed.. 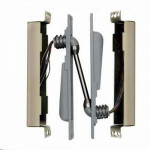 The 9847NL is a night latch (Key retracts latchbolt) concealed vertical rod device for use on single.. 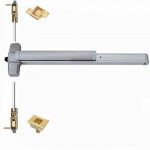 The 9827L is a lever trim (Key locks & unlocks) surface vertical rod exit device for all types o.. 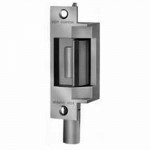 The Von Duprin 98EO is an exit only rim exit device for all types of single and double doors with mu.. 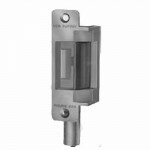 The Von Duprin 98EO-F is an exit only rim fire exit device for all types of single doors up to 4´ x .. 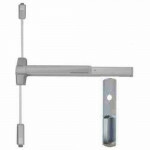 The 9927EO-F is an exit only surface vertical rod fire exit device for all types of single and doubl.. The Von Duprin 33A-NL-OP is night latch (Key Retracts Latchbolt, Optional Pull Required) rim exit de.. 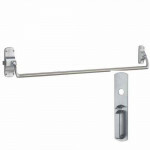 The 88TP-F is a thumbpiece (Ket Retracts Thumbpiece) rim cross bar fire exit device for all types of.. 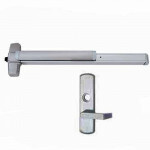 The 99NL-OP is a night latch (Key retracts latchbolt, optional trim required) rim exit device for al.. 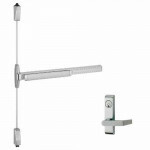 The Von Duprin 3527A-L is lever trim (Key Locks & Unlocks) surface vertical rod exit device for .. 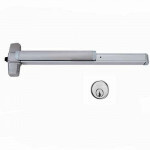 The 98L is a lever trim (Key locks & unlocks) rim exit device for all types of single and double.. 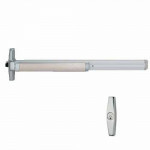 The 9827NL-F is a night latch (Key retracts latchbolt) surface vertical rod fire exit device for all..